Experienced Local Atlanta Plumbers, Just A Phone Call Away. 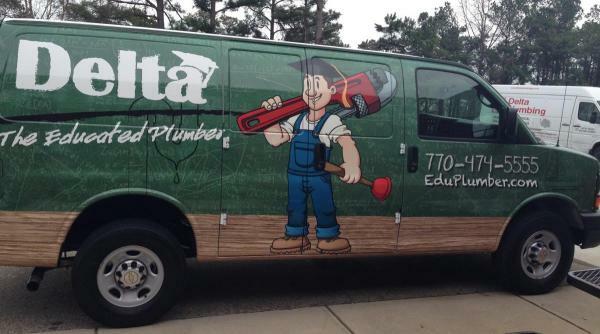 Delta Plumbing has been serving the greater Atlanta area for more than 42 years. A family owned and operated company, we employ a team of licensed plumbers and master journeymen, fully certified and trained in all things plumbing-related. Contact us today for Fast, Reliable Service, or call for 24-hour emergency plumbing services. We are the Educated Plumbers. Fast, Friendly, and Affordable Plumbing Solutions. At Delta Plumbing, we’re fully equipped to handle all of your plumbing needs, whether it’s a new toilet installation or an emergency leak. We know that when you have plumbing problems, you need an affordable plumber right away. That’s why we provide prompt, professional residential and commercial plumbing services that accommodate your budget. We also offer 24/7 emergency response—because if you’ve sprung a leak that’s flooding your basement, you can’t wait for regular business hours. If It’s Plumbing, We Can Fix It.